Why would I need self storage in Oviedo, FL? There are a variety of reasons why you might need self-storage in Oviedo, FL. How much is a storage unit in Oviedo, FL? The cheapest storage unit in Oviedo, FL is $47.00 per month. What size storage units do you have available in Oviedo, FL? In Oviedo, FL we have sizes that range from 5'x5' to 20'x50' to suit your storage needs. How much is it for a 5'x5' storage unit in Oviedo, FL? The cheapest 5'x5' storage unit in Oviedo, FL is $56.00 per month. Situated just 20 miles northeast of Orlando, Oviedo is a thriving small city in Central Florida's Seminole County. 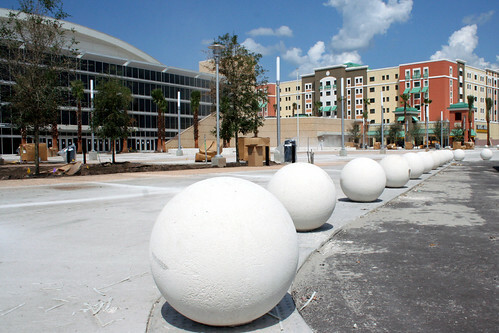 With an expanding downtown district, several new developments and more, Oviedo is a city moving forward to the future. You'll find a balance of spacious single-family homes and new high-density urban housing to choose from, as well as plenty of convenient amenities. While the city's roots date back centuries to when the Timucuan tribe resided in the area, Oviedo wasn't incorporated as a city until 1925. In the city's early years, a dirt road connected Oviedo to Orlando, but today Highways 417 and 408 link the two cities in mere minutes. Oviedo's downtown district is a mix of old and new, combining its oldest historic buildings with brand new, modernized developments. The majority of the city's historic buildings were built in the late 19th and early 20th centuries. Several historic homes, the Antioch Missionary Baptist Church and a handful of designated historic districts can be found in downtown Oviedo. Although some of the old buildings have been replaced over time, the city's historic preservation department has taken great care to document each building in a series of photographs, for the sake of posterity. Just south of the historic downtown area lies a dynamic new development called Oviedo on the Park. Here, you can enjoy shopping, restaurants, a children's playground and a large, man-made lake. If living in the city center is something that appeals to you, there are also several apartment homes and townhouses at Oviedo on the Park. Oviedo is home to retail stores, education centers, government agencies and business services providers, all of which provide a variety of local jobs. Retailers Publix Super Markets and the Oviedo Mall are among the city's largest employers, followed closely by sod grower A. Duda & Sons, Seminole State College and the city of Oviedo. In Oviedo and the Orlando metro area, the largest industries include leisure and hospitality, trade and transportation, and professional and business services. You'll likely be able to find a variety of jobs in these industries, in addition to the quickly-expanding construction sector. Seminole County Public Schools manages the public schools of Oviedo, and is consistently one of the top-ranked districts in Florida. You also have the option of enrolling your child in several faith-based or secular private schools, with campuses serving grades pre-K through 12. If you're looking for higher education, Oviedo and the surrounding area offer a few different campuses, including a local campus of Seminole State College of Florida and the University of Central Florida. Utilities: Florida Power & Light supplies Oviedo with electricity, while the city utilities department oversees water and sewer services. Garbage and Recycling: You'll be provided with disposal bins for trash and recycling, which will be regularly collected by Republic Services. Yard waste is also picked up regularly, and you can request bulk-item collection as needed. Transportation: The LYNX transit system services the Oviedo area and its surrounding cities. If budget is no issue, you can find the most upscale and expensive homes in Oviedo near Lake Mills and Little Big Econ State Forest, as well as west of South Central Avenue. However, if you're looking for something more affordable, look at the neighborhoods between South Central Avenue and Lockwood Road and along Chuluota Road. Home prices have been rising fairly steadily in Oviedo, which is good news if you're hoping to make a long-term investment. Rent is fairly expensive in the city, rising above the average price for the larger Orlando metro area. Our lowest priced units in Oviedo, FL average $51.50 per month. 96 people have reserved units in Oviedo, FL in the past 30 days. There are 2 locations within Oviedo, FL's city limits. There are 2 locations in Oviedo, FL that offer AC and Heating features.